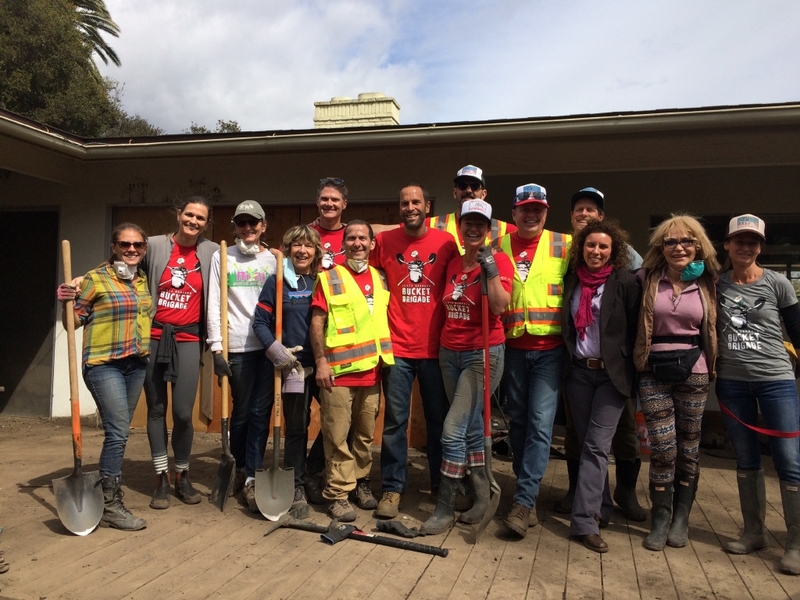 On Saturday, the day before his Santa Barbara Bowl benefit concert for our recovering community, Jack Johnson visited the Santa Barbara Bucket Brigade, which is literally digging Montecito out of the mud. 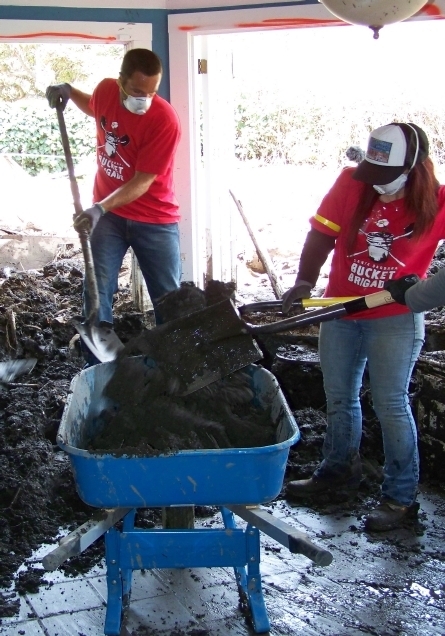 And he pitched in to help, arriving early in order to help restore an affected homeowner’s kitchen one shovelful at a time. 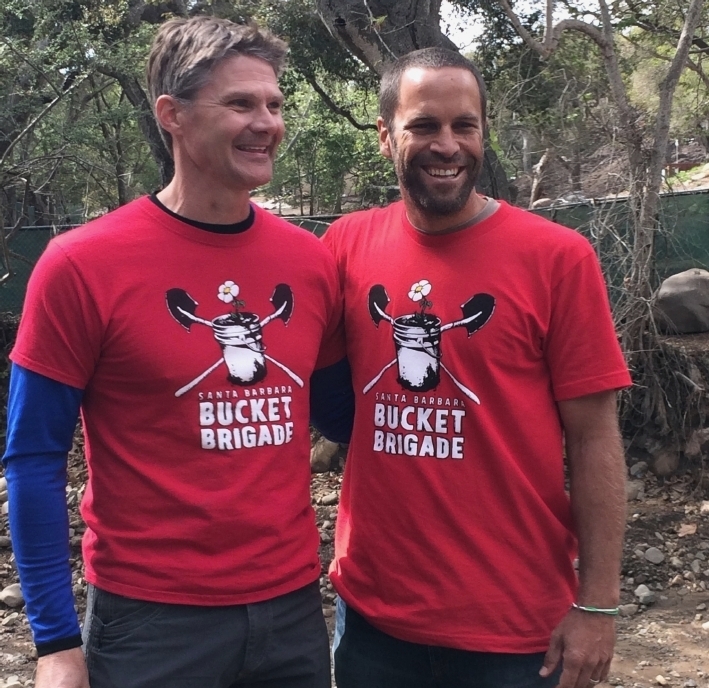 Bucket Brigade founder Abe Powell and co-leader Tom Cole led a small tour group consisting of Jack and Kim, volunteers, and press around different Montecito sites. For Powell, the Bucket Brigade is more that just shoveling mud: “Having people see that their community actually cares for them, and that they’re not alone when the mountain comes down on you – it’s a really important thing for people to understand about their community.” And the community response has been immense – over 2000 people have volunteered for the Bucket Brigade during the last two months, over half of them women. The model that the Bucket Brigade operates under is quite simple: they ask the homeowner what they need, and then they get it done. 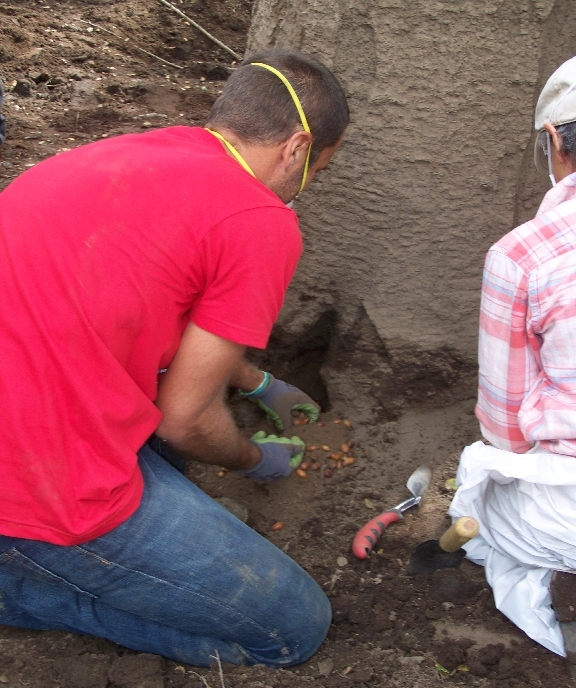 Notably, the volunteers referred to the houses that they had worked on by the first names of the owners. 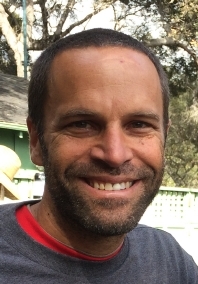 You can help to support the efforts of the Bucket Brigade and other aid organizations through Jack Johnson’s website. Jeff Moehlis: How does it make you feel about our community to see so many people here helping out? Jack Johnson: It’s so amazing. I got emotional just pulling up and seeing everybody, some of my really good friends that have been coming every weekend. I haven’t been in California so I’ve only heard about it. But then to actually see it, to see the people turning out, and then to see a home. There’s still books on the shelf over there and different things. It’s just reminders that this is somebody’s home. And then to see it transformed back into a place that you can slightly recognize as a home again, it’s really rewarding. These guys are my heroes. I’ve been hearing about the Santa Barbara Bucket Brigade. They mobilized pretty quickly afterward. They’ve been everybody’s hero. From afar I’ve been admiring them, so I’m just glad to hang out with them for a day. JM: A lot of people find it inspiring that you use your popularity as a platform to do good things. 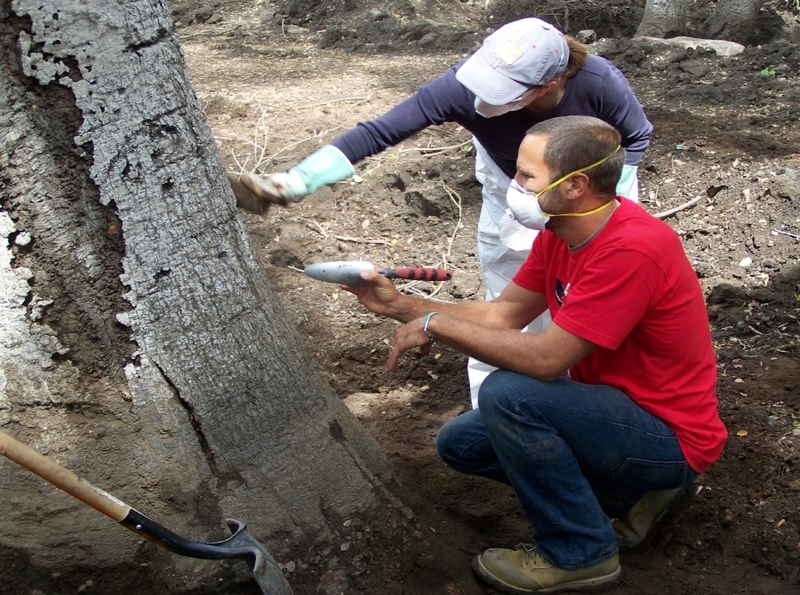 You’ve promoted sustainability at the Bowl and elsewhere, and you’re helping out here. Where does that impulse come from for you? JJ: It’s just pretty natural, the instinct to just help out when you can. Music was really just an accident for me, to be totally honest. The fact that I get to do it as a career is just a byproduct of doing something you love, and then it ends up expanding into that. I used to be a cinematographer. I was making surf films right before this all started, and I didn’t really dream of another job. That, to me, was the best job I could ever have. And before that I was a surf and kayak director at Campus Point in the summers, and that was probably even a better job than doing the surf camera work. So I had already had these dream jobs. So the music thing, when it started happening – I can’t imagine another job now. It’s amazing. But my point is, when the music started happening, the surf director part of me, the camp counselor, was still in me. The camera work, seeing it from the outside, you know, having that perspective. It was just kind of a no-brainer. Probably the catalyst is my wife. She’s a teacher. She used to teach at Dos Pueblos High School for years. So with her educational background, as soon as she saw the spotlight on me, I think part of her job she saw was taking that spotlight and turning it away from me to things more important. It’s just been a partnership. We met in Santa Barbara when we were 18, and she’s been a partner the whole way along. As soon as we could draw a crowd, it wasn’t even a question we had to say out loud about how we could use this for things more important than us. JM: From your perspective, what is the best way that people can heal from these events that affected our community? JJ: There’s so many different ways. There’s so many deep wounds. There are people who have lost loved ones. On that level, there’s obviously so much healing as a family that needs to happen, but also as a community. And then there’s people who lost homes. Those are really important, too, but that’s something that can be over time replaced. So I think everybody just thinking about our community members that lost family members, and making sure to direct most of our love in that direction. JM: A lighter question – when you’re away from Santa Barbara, what do you miss the most? JJ: I mean, it’s everything, it’s all of the senses. We woke up today – my kids are with us – and they love Santa Barbara, too. They got outside and it was just the smells. In Hawaii my kids are used to the warm air, and so when they get here they get really excited to put on a long shirt and run around outside. For me, I love when it’s a little cloudy out and stormy. I remember skateboarding around when I went to UC Santa Barbara, even when it was raining. It’s just the smells, and everything. I love the hikes. Where I live in Hawaii there’s beautiful hikes, too, but there’s something about the mountains around here. I love the ocean, but also the mountains. JM: You’re one of the more famous alums from UCSB. Are there any stories that you’re willing to share about your time there? JJ: I’ve gone back quite a few times and had lunch with my old film professors. There’s a guy named Edward Branigan – he’s a film professor, he was one of my all-time heroes. Once I had a class with him, I tried to sign up for any class I could with him, because he was amazing. He really inspired me quite a bit. So one time I was late on a paper, and I wrote this song called “Inaudible Melodies” which ended up being on my first record. Originally I put all of the words together in a song and I went and played it for him in his office as a way to get an extension on a paper, and he gave it to me. And as I say, the song ended up on my first record. But it was really just me trying to show that I had been listening in class, and trying to put as many film terms as I could into one song. 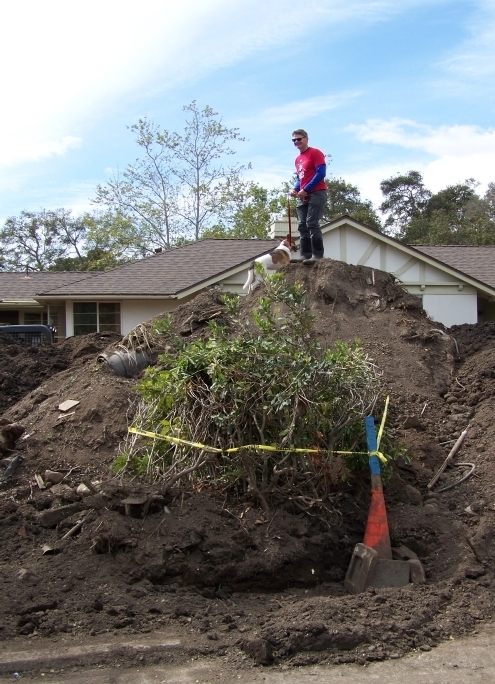 JM: Regarding the mudslide, we’ve all heard tales of tragedy and tales of heroism. Are there any stories that you’ve heard that particularly hit home for you? JJ: Oh yeah. I won’t even be able to go into them without crying right now. Any story that I’ve heard about families that lost a member of their family, it’s just too much to even think about. But at the same time, we all have to think about it and make sure that we’re there for all those community members. JM: Now that you’ve seen the destruction, any thoughts? JJ: It’s hard without having a little time to digest it, but it’s overwhelming. These guys have been dealing with it every weekend, and probably every day. I mean, it definitely just reminds you to have a profound respect for nature, and how all too often we’re working against it, you know. We’ve just got to make sure with every new construction, with every kind of man-made choice that we have, we’ve got to consider nature, because it’s obviously really, really powerful. It just reminds you when you see the level that the mud’s up to on some of these trees, and we’re standing way below that, it’s double-over-head. It’s pretty intense. My heart goes out to all those families. You see those homes with walls ripped off, and hear the stories that these guys were sharing about some of the families that were luckier than others. I’m just still digesting it all. It’s really overwhelming to see. JM: And also a lot of respect to the Bucket Brigade. JJ: A lot of respect to the Bucket Brigade. That’s the first thing I should’ve said. These guys are amazing. I knew that coming in, so I guess that’s the part I was overlooking. I’m really proud to be wearing this shirt, like I keep saying. These guys are heroes.